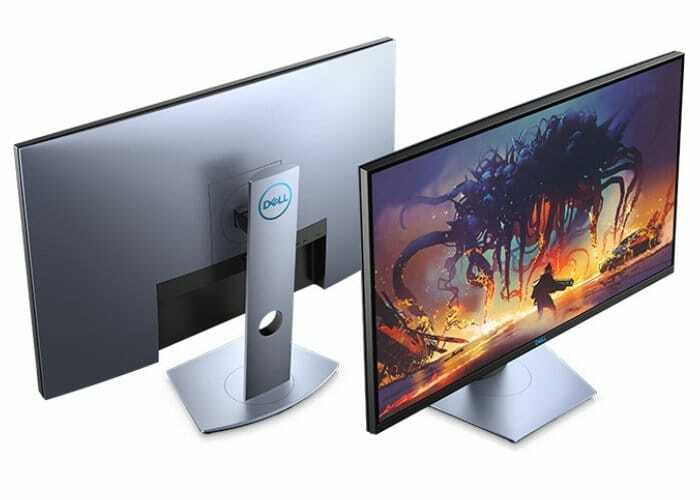 DELL has announced the imminent launch and availability of new DELL gaming monitors in the form of a new 24 and 27 inch displays with the larger offering 155Hz AMD FreeSync support. Part of Dell’s recently introduced G series of gaming products 24-inch S2419HGF and 27-inch S2719DGF both offer native 144Hz refresh rates with the larger 27 inch model offering overclocking to 155Hz when connected using the panel’s DisplayPort. The 24-inch and 27-inch will be available later this month on August 28th 2018 priced at $320 and $550 respectively. Both gaming monitors offer an LED edge-light system, have a 1,000:1 typical contrast ratio (8,000,000:1 dynamic), 350 nits brightness, and 84 percent coverage of the NTSC colour space. The 24-inch monitor is equipped with 2 x HDMI 1.4 inputs, a DisplayPort 1.2 input, 2 x USB 3.0 downstream ports (and one USB 3.0 upstream port), a headphone output, and an audio line output. While the DELL 27-inch gaming display offers HDMI 2.0 and HDMI 1.4 ports (one each), a DisplayPort 1.2 input, 3 x USB 3.0 downstream ports (and one USB 3.0 upstream port), a USB BC1.2 charging port, a headphone out jack, and an audio line out jack. Jump over to the official DELL website for purchasing and full specifications.